Why Should a Leader Keep His Word? 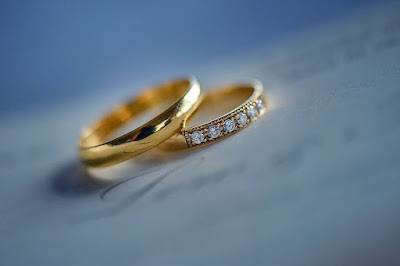 Our rings as a sign of our vows and commitment to each other. It’s when you say you “will” do something. I’ll be there in 5 minutes. I’ll give X amount of money to your project. -- It is better not to make a vow than to make one and not fulfill it. -- Do not delay to fulfill it. Does God take this casually? Will God hold you accountable for not keeping your word? So the next time you utter your “I will's”, be careful. You don’t want God to actively oppose the work of your hands. That’s the worst and most devastating thing that can happen to you. Because you don’t want your reputation to be ruined, your credibility and influence lost, and the trust of your child, friend or colleague gone. What should you do if you’ve failed in this area? Repent. Apologize. And be more responsible with your words. Instead of saying, “I’ll be praying for you”, pray for the person right away. Instead of saying, “I’ll be there in 5 minutes”, say, “I’m in this location now”. Instead of telling your wife, “I’ll clean the bathroom today”, tell her, “I’ll clean the bathroom” because that could mean tomorrow, next month or next year (kidding). But the reality is, we will continue to fail in this area.We will break our promises. We will forget, sometimes. However, there's a good news. God is not like us and He can and He will redeem us from the ramifications of our worldly ways. He is always true to His words. If He promises that He will be faithful and just to forgive us and cleanse us of all unrighteousness, we can believe that it's true and we can claim it. And if your family has been damaged by broken promises, He can redeem even that. God says in Psalm 89:34, "I will not violate my covenant or alter the word that went forth from my lips". That's how trustworthy God is.